Jessica Swale is artistic director of Red Handed Theatre Company. Her productions include The Rivals at Southwark Playhouse, Palace of the End at Arcola Theatre and Bedlam at Shakespeare's Globe. 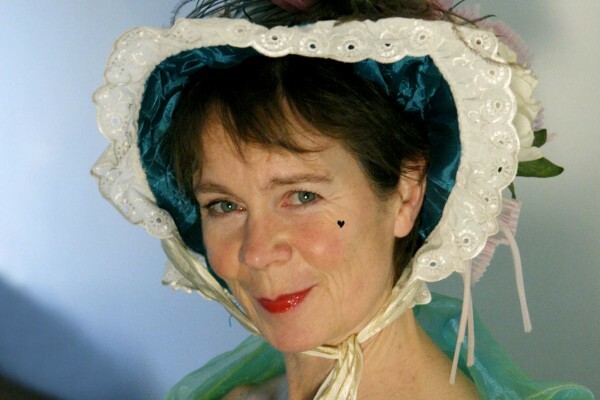 She talks to Julia Rank ahead of her production of Hannah Cowley's The Belle Stratagem's at Southwark Playhouse. When Jessica Swale directed Palace of the End, Judith Thompson’s triptych of monologues about Iraq at Arcola Theatre in October 2010, I was initially drawn to it because of the combination of a female playwright and a female director, an occurrence that is much more rare than it ought to be. It now seems terribly naïve to have described Swale’s direction of this beautifully written and unflinching play as “impeccably simple” having gained an insight into her highly detailed working process that results in creating an impression of absolute naturalism. Swale, having explored the upper echelons of eighteenth-century society in Richard Brinsley Sheridan’s The Rivals (also at Southwark Playhouse with Celia Imrie as Mrs Malaprop) and The School for Scandal, as well as the gin-guzzling underclasses in Bedlam (Nell Leyshon’s take on the notorious Bethlem Royal Hospital), has never intended to specialise in one particular era or style. However, she found herself swept up in the Georgian era, captivated by the prospect of exploring the period from a woman’s perspective through Hannah Cowley’s 1780 play The Belle’s Stratagem. The seventeenth and eighteenth centuries were exciting times for women dramatists: the Restoration playwright Aphra Behn was the first woman to make a living from her writing; Susanna Centlivre was even more prolific and daring in her portrayal of women, but much women’s writing went unnoticed because male theatre managers (many of whom were also playwrights) would produce their own plays or plays written by their friends. Swale explains that The Belle’s Stratagem was highly popular when it was first performed at Drury Lane, but when the jealous Sheridan took over as manager, it was removed from the repertoire and disappeared quickly. The last recorded professional production was at Stratford in 1888. In contrast to Sheridan’s verbose style full of long sentences that demand to be read several times over, Swale is charmed by the unfussiness of Cowley’s writing. “It’s simple but not simplistic, which means you understand it straight away. In terms of design, we’re having Georgian costumes, furniture and props with a touch of modernity. When audiences come to period works, they want to immerse themselves in the world of the play and we thought it would be rather perverse to say, ‘We’ve found a fantastic obscure Georgian play – we’re setting it in the 1920s!’” The music has been one of the most fun aspects of the production as Swale believes that one of the most important symbols of giving women a voice over the past fifty years has been the rise of the girl band, mixing The Supremes and The Spice Girls with harpsichords and Georgian glee songs.